In the most thrilling Harry Potter news this week, a new set of Harry Potter movies is coming our way based on the Hogwarts textbook written by Newt Scamander called Fantastic Beasts and Where to Find Them. Owl messages have been rushing back in forth to deliver this exciting news to fans who have been waiting for this in years. The best part about this news is the fact that master scribe J.K. Rowling herself will write the script of the movie, and hopefully the sequels. One word: WOW! I am really looking forward how these spin off movies will turn out and hopefully Warner Bros. will hire the old directors... I for one vote for Alfonso Cuarón. Here is the full press release of this great news! Warner Bros. Entertainment today announced an expanded creative partnership with world-renowned, best-selling author J.K. Rowling. At the center of the partnership is a new film series from Rowling’s world of witches and wizards, inspired by Harry Potter’s Hogwarts textbook “Fantastic Beasts and Where to Find Them” and the adventures of the book’s fictitious author, Newt Scamander. The announcement was made by Kevin Tsujihara, Chief Executive Officer, Warner Bros. Entertainment. 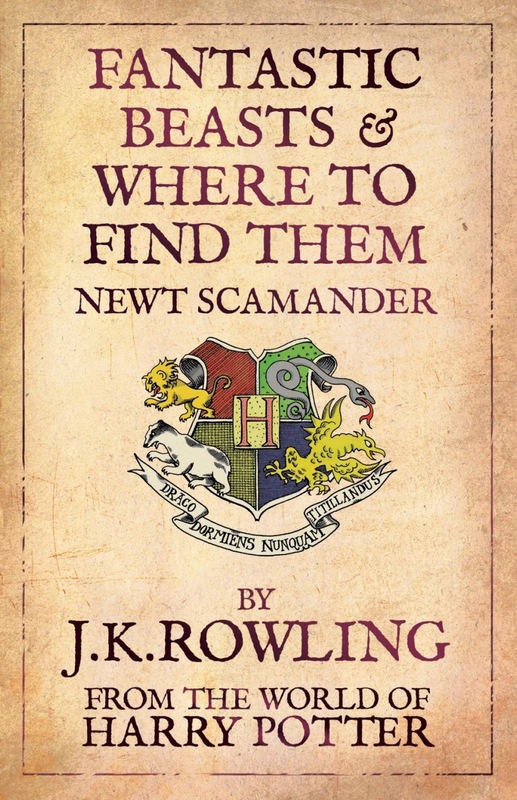 “Fantastic Beasts and Where to Find Them” will be an original story and will mark Rowling’s screenwriting debut. It is planned as the first picture in a new film series. Set in the wizarding world, the story will feature magical creatures and characters, some of which will be familiar to devoted Harry Potter fans. In addition to the film series, “Fantastic Beasts” will also be developed across the Studio’s video game, consumer products and digital initiatives businesses, including enhanced links with Pottermore.com, Rowling’s digital online experience built around the Harry Potter stories. The Studio’s expanded partnership with Rowling also covers the continued expansion of its Harry Potter activities, including the wonderful Wizarding World of Harry Potter theme parks in conjunction with partner Universal Parks and Resorts (currently in Orlando, FL; opening in Hollywood, CA and Osaka, Japan), digital initiatives (including Pottermore), video games, consumer products and visitor attractions. In addition, Warner Bros. will serve as the worldwide TV distributor (excluding the U.K.) of J.K. Rowling’s upcoming television adaptation for the BBC of “The Casual Vacancy,” her best-selling first novel aimed at adult audiences. This miniseries begins production in 2014. The relationship will be managed in London by Neil Blair of The Blair Partnership, Rowling’s literary agency, and Josh Berger, President & Managing Director, Warner Bros. UK, Ireland and Spain, who will serve as Warner Bros.’ chief business contact for all J.K. Rowling initiatives going forward. “It all started when Warner Bros. came to me with the suggestion of turning ‘Fantastic Beasts and Where to Find Them’ into a film. I thought it was a fun idea, but the idea of seeing Newt Scamander, the supposed author of ‘Fantastic Beasts,’ realized by another writer was difficult. Having lived for so long in my fictional universe, I feel very protective of it and I already knew a lot about Newt. As hard-core Harry Potter fans will know, I liked him so much that I even married his grandson, Rolf, to one of my favourite characters from the Harry Potter series, Luna Lovegood.